﻿ MyAllocator Integration We are pleased to announce our new partnership with MyAllocator to bring you even more OTA sales channels! In this post, we cover everything you need to know to setup and manage your connection to MyAllocator. 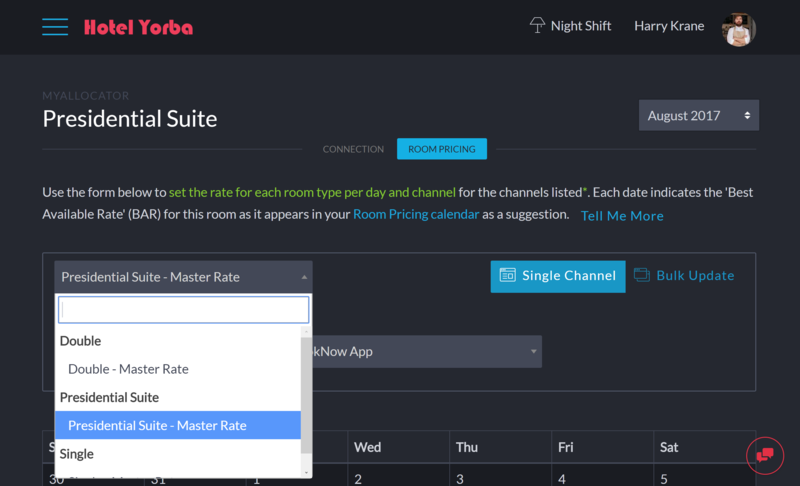 Hotel Management Software in the Cloud. 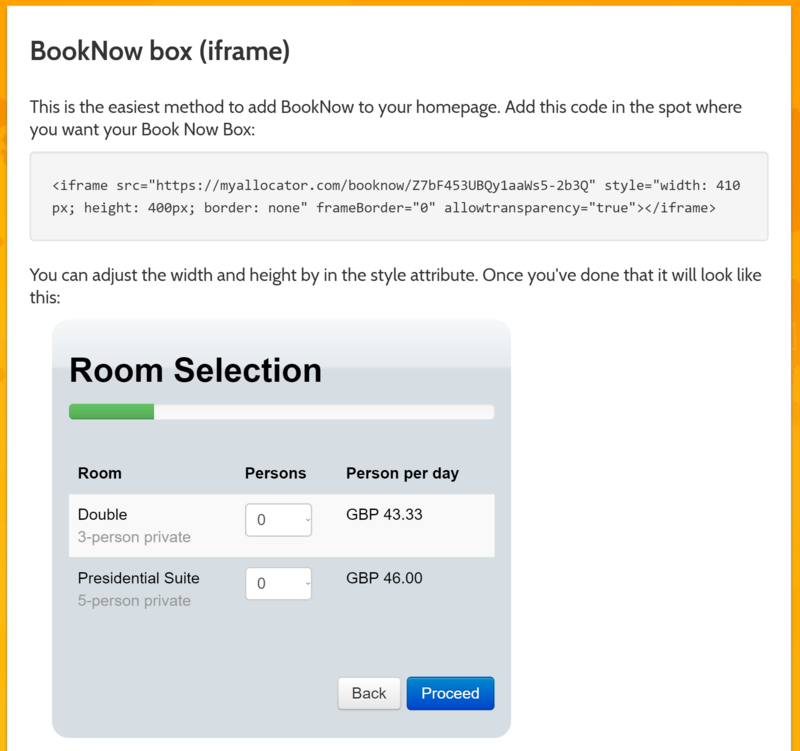 Sell more rooms, improve revenue per booking, and encourage repeat visitors. 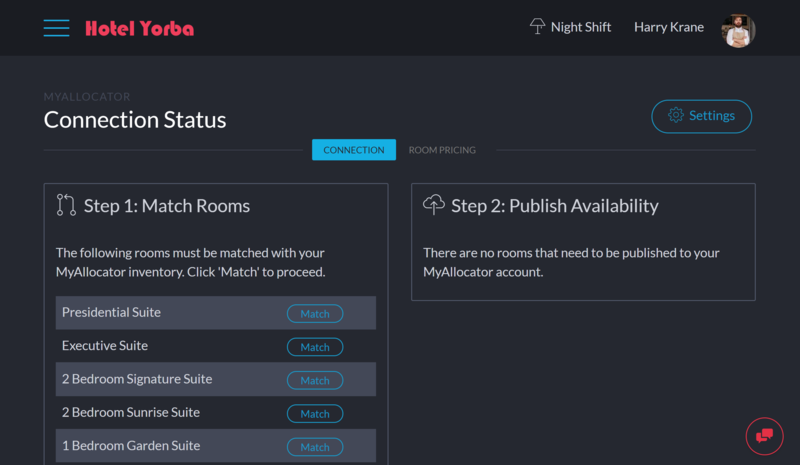 Bellebnb is a complete property management system for your Hotel. Sign up for free!. We are pleased to announce our new partnership with MyAllocator to bring you even more OTA sales channels! In this post, we cover everything you need to know to setup and manage your connection to MyAllocator. Go to ‘Channels > MyAllocator’ in the navigation menu. Enter your username and password used for your MyAllocator portal and click ‘Connect to MyAllocator’. In the next screen, select the property to match and re-enter your credentials for MyAllocator. Note: Your user credentials for MyAllocator are not stored locally in any way. From this point on, we talk to their portal through a security token. This is why we ask you for your credentials twice in two steps. Go to ‘Channels > MyAllocator’ in the navigation menu. 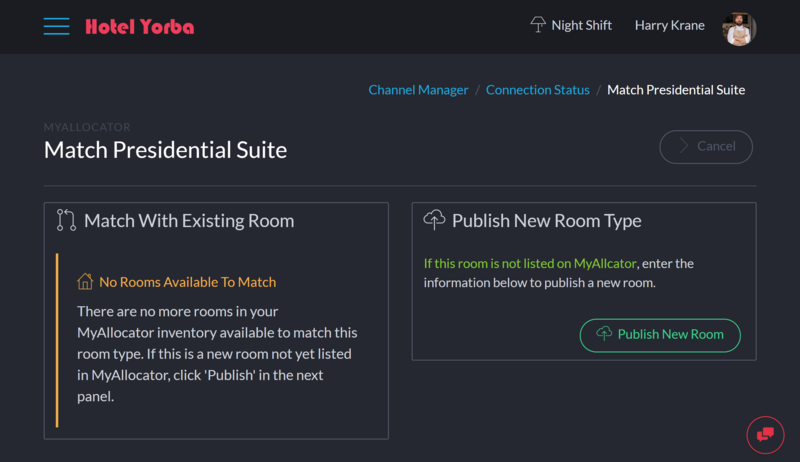 Under ‘Connection Status’ you will see two lists of rooms: rooms to match, and connections to publish. Click any room in the first column to match with an existing room in MyAllocator. If this room is not listed in your MyAllocator account, or if you’re new to MyAllocator, click ‘Publish New Room Type’. This room now appears in the second column, under ‘Publish Availability’. Select this room to complete the connection. 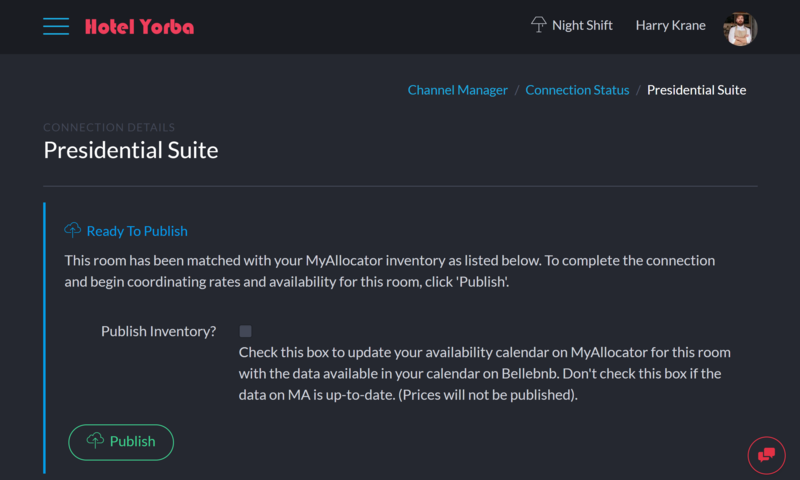 Select ‘Publish Availability’ to publish allocation from your Bellebnb.com Calendar to your MyAllocator Calendar. Do not select if the availability in your MA calendar is correct, as this will overwrite any existing values for this room. Click the second tab ‘Room Pricing’ and select your newly published room in the dropdown on the top left. 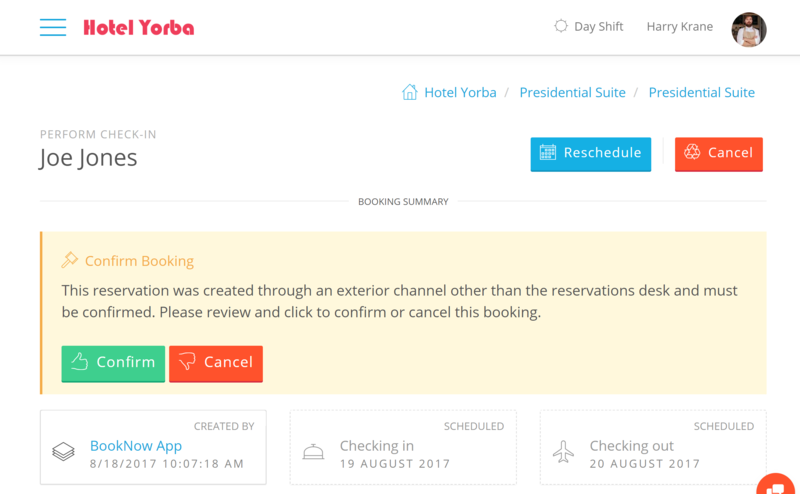 You will see an empty calendar, with the BAR used in your Front Desk and Booking Engine along with the number of rooms available for each type for each date. Enter a couple of prices and click ‘Publish’. You will see the updated prices in your MyAllocator calendar. 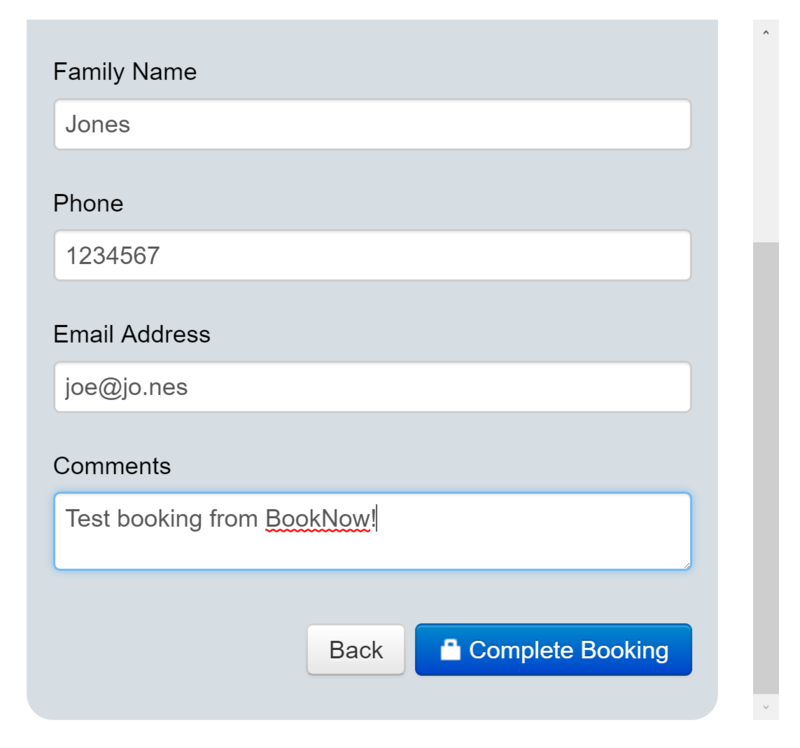 Now that you have your connection setup, navigate to your BookNow! app in MyAllocator. 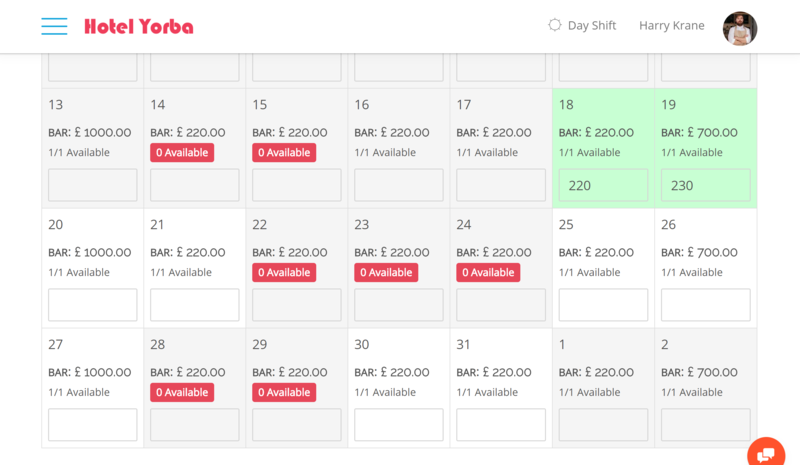 Create a booking for this room for the dates you entered prices in your calendar. 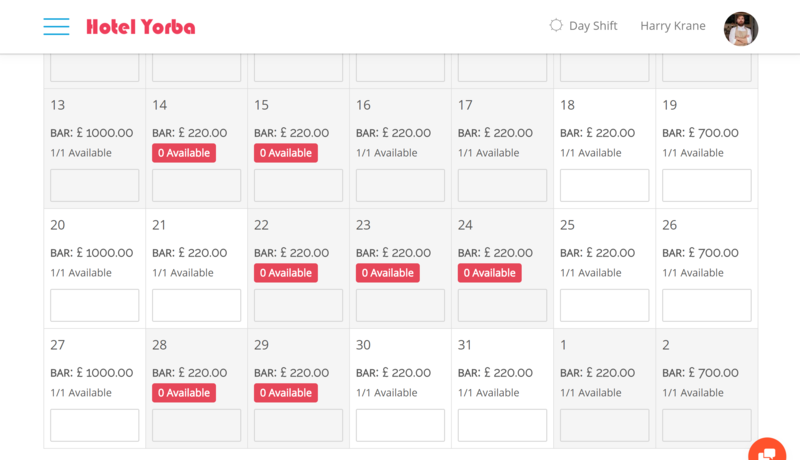 Wait a minute or so, then refresh your Bellebnb.com calendar. You will see a notification for the new booking. Click ‘view’ to view the details for this booking. And that’s it! You have completed your connection to MyAllocator. Enjoy! MyAllocator is free addition to your subscription to Bellebnb.com. We don’t charge any additional fees for channel bookings.